Join Sue Primeau, art instructor and Nancy Olker, master certified pilates instructor in a fun-filled, wonderfully relaxing painting excursion in the breath-taking and historically rich Dordogne region of France. We will be staying in a beautifully restored convent, complete with a studio set up for all our creative needs. 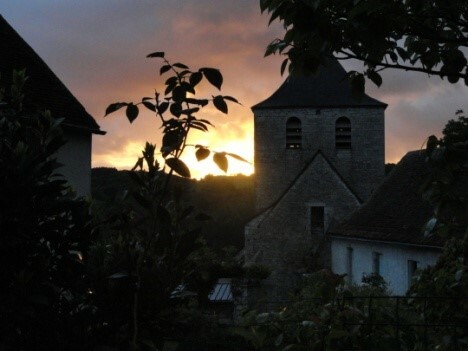 Daily we will visit nearby villages, towns, historic sites and the French country side. This is your invitation to join Sue and Nancy at Le Vieux Couvent in the Dordogne, Lot Region of France. This area has inspired artists and creative minds for thousands of years, including prehistoric man. At Le Vieux Couvent, our home away from home, we stay in a collection of medieval buildings surrounded by beautiful courtyards, secluded terraces, swimming pools and gardens. This trip is not only a travel adventure that includes day trips to quaint villages, bustling markets and historic sites to paint, sketch and/or photograph on-location, it is also a retreat, a time to relax and share the art of painting, the option to stretch and strengthen your core with Pilates, and the art of having fun with others who appreciate travel as you do. We will be visiting one of the area’s prehistoric caves with paintings 35,000 years old. We will also visit incredible local markets, the historic pilgrimage site of Rocamadour, the picturesque village of St. Cirq Lapopie perched high above Le Lot river and many other lovely villages nearby the convent. Most excursions are made in the morning and we are back for lunch. Weather will dictate which days we visit certain sites. When we return from these outings, you can choose to go to the studio to paint, explore Pilates, or perhaps a bit of quiet reflection on the grounds, or a dip in one of the outdoor pools is your preference. Aperitifs are served before dinner and we will all gather at that time for a sharing of our artwork and the experiences of that day. For those of you who have not been to Le Vieux before, it is a delightful 17th century former convent. We stay in beautifully simple rooms, all with private bathrooms. The real joy of Le Vieux Couvent is the warm hospitality provided by our hosts Corrine and Bill, both artists themselves, the beautiful intimate gardens of the convent, the well-lit and spacious studio, the camaraderie of other wonderful artists and travelers; last, but not least, is the five-star food and the creative hands that prepare it for each nourishing meal. At Le Vieux, art is food for the soul but food is the art and soul of our stay. Best of all, this travel workshop is designed for a small, intimate group of only sixteen participants (that includes Nancy and me). Check out the website for Le Vieux Couvent at www.levieuxcouvent.com. 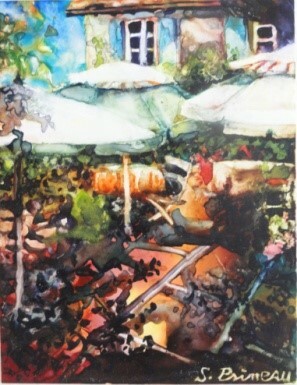 The water media workshop will be taught by Sue Primeau of Ocala Florida, who teaches watercolor nationally and abroad. She finds great joy in helping others realize their innate artistic and creative talents. 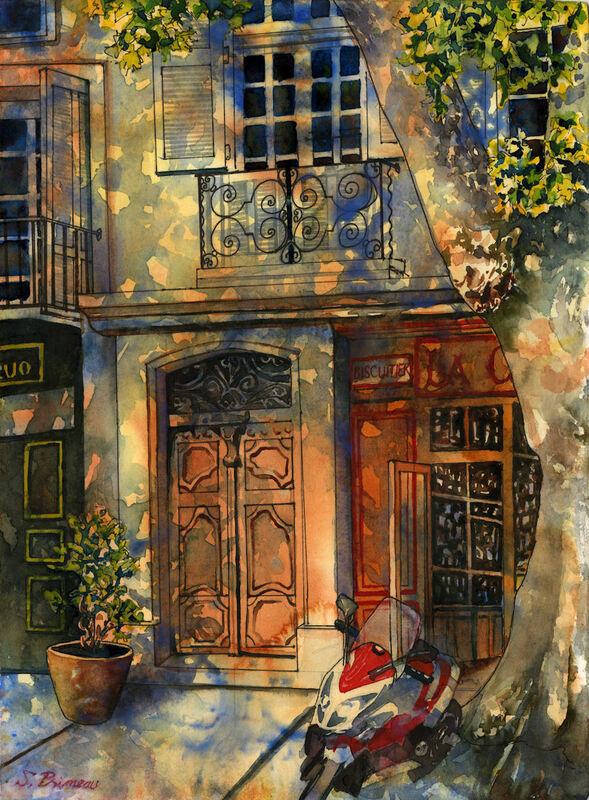 Sue exhibits at galleries in Ocala, Dunnellon, and Gainesville FL as well as numerous juried art shows, including the prestigious Florida Watercolor Society. 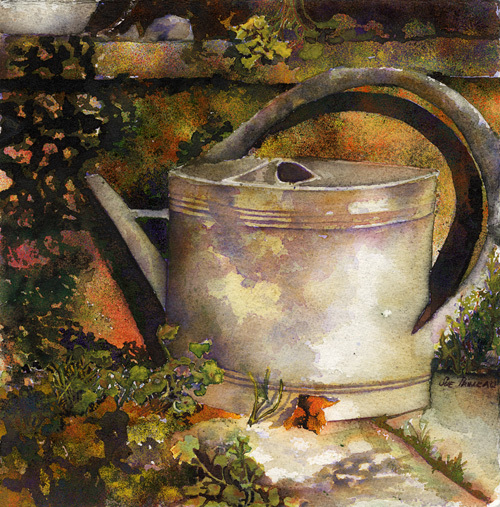 She’s been licensed on greeting cards and many of her works and painting lessons are published in how-to watercolor books by internationally known, WI artist, Karlyn Holman. Sue has won a number of awards for her work and continues to strive for excellence in all her artistic endeavors. You will enjoy her engaging and helpful teaching style. Nancy Olker is a certified master Pilates instructor and trainer who has been teaching longer than most of her students have been alive! Pilates helps condition the body without punishing it. 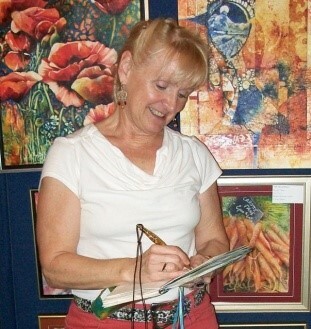 Nancy is also a watercolor artist who finds painting and sketching on-location a most inspiring experience. For the artist there is no faster way to improve your artistic skills than the practice of en plein air painting. Sue will give you demos and lessons on fun and helpful techniques to make on-location art a joy, including no-fear painting techniques. So whether you are rank beginner or an experienced painter bring your creativity, a sense of discovery and your good humor. For those interested in exploring or enriching your Pilates practice Nancy will focus on the individual needs of each student while guiding you through routines that strengthen your core, loosen tension and soothe sore spots throughout the body. Class size at Le Vieux will be no more than three students at a time, so your experience will be very personalized. Both instructors encourage you to have FUN, experiment, grow and feel good about your accomplishments. One-on-one attention from both instructors will provide personalized moves you can take home to experience an on-going boost to your art, health and daily practice. Ten nights at Le Vieux Couvent—Reserved solely for our group, you will have access to washing machines, kitchenettes for coffee/tea 24 – seven, two swimming pools and many patios and private spaces in which to sketch, read or reflect. All breakfasts, all but two lunches and one dinner. This one evening out allows us to experience the local French cuisine and culture. The meals at Le Vieux are served banquet style and are Mediterranean in content. Note that special dietary requirements can be accommodated, given advance notice. All group and one-on-one instruction by Sue Primeau or Nancy Olker. All transportation including pick up and drop off at Toulouse, France Blagnac airport and all ground transportation to and from daily outings. Local wines with all included lunches and all dinners. NOTE: A passport valid six months beyond date of reentry to the U.S. is required. No visa is required for U.S. citizens; non-U.S. citizens may require a visa. Travel Tip: Good walking shoes are recommended as we will be walking over uneven cobblestone streets as well as walking up and down hills and stairs. Your airfare. Be sure to arrive by noon on July 1st and depart no earlier than 11:00 a.m. on July 10, 2019. Travel insurance for health, baggage and/or trip cancellation/interruption. In order to be covered for any pre-existing medical condition, be sure to purchase your travel insurance within 14 days of making your deposit for full benefits. Two lunches & one dinner out, as well as any tips and gratuities. The workshop cost is $3600.00 per person for all rooms. Please note that most rooms are set up for single occupancy although a few rooms for two are available. Deposit – a deposit of $700.00 is due on or before January 31, 2019. Be sure to apply for trip insurance within 14 days of making your deposit to be eligible for all benefits in your policy. Final Payment – the trip balance is due March 25, 2019. No refunds can be made after this date so we strongly urge you to have travel insurance. Refund Policy – All monies are non-refundable after March 25, 2019. Reserve your spot today by sending a $700.00 deposit to the address at the bottom of the page or call Sue with your credit card details. Simply put, painting, stretching and relaxing at Le Vieux is unparalleled! We hope you are inspired and looking forward to experiencing Southwestern France both in person, in health and in paint! This is a popular trip booking up fast, so please let Sue know of your interest as soon as possible.